One of blues/rock’s greatest guitarists died in a helicopter crash 25 years ago today. RIP Stevie Ray, you are definitely missed. Posted in Music, Uncategorized. Tagged Pride and Joy, Stevie Ray Vaughn. Posted in Music, Uncategorized. Tagged Bob Dylan, Desolation Row. 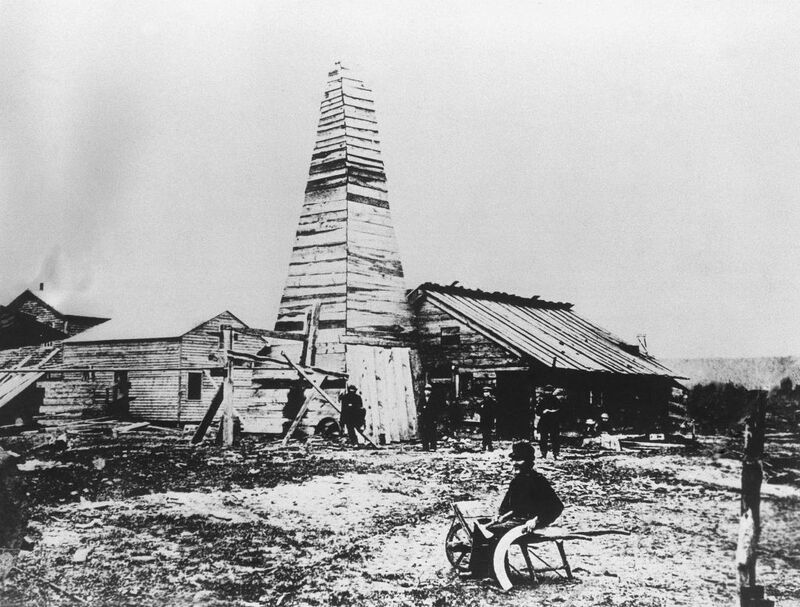 Edwin L. Drake drilled the first successful U.S. oil well near Titusville, PA, in 1859. Sea levels mysteriously began to rise, and polar bears drowned. Posted in History, Uncategorized. 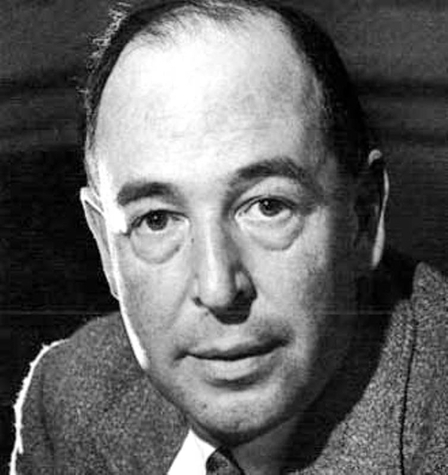 Tagged Edwin L. Drake. Posted in Art, Uncategorized. 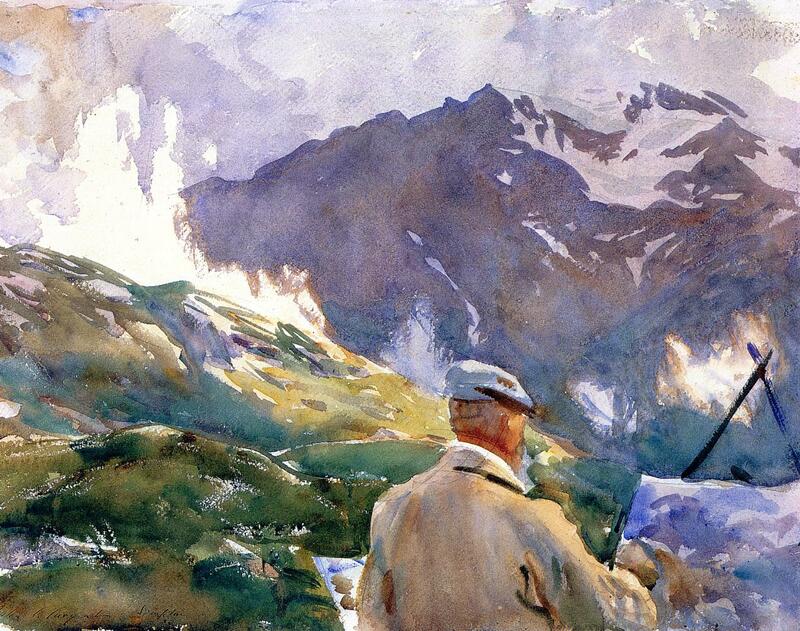 Tagged John Singer Sargent. Posted in Uncategorized. 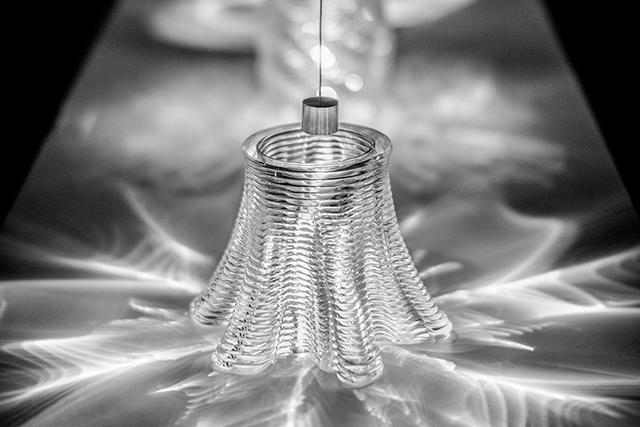 Tagged 3D printing, Glass. It is hard for me to get my head around the massiveness of the Krakatoa volcanic eruption August 26, 1883. The explosion is estimated to be equivalent to 200 megatons of TNT, and was heard in Alice Springs, Australia, 3000 miles away. Six cubic miles of rock were expelled in the eruption. The resulting cloud of ash encircled the globe, and global temperatures dropped by 2 degrees Celsius. 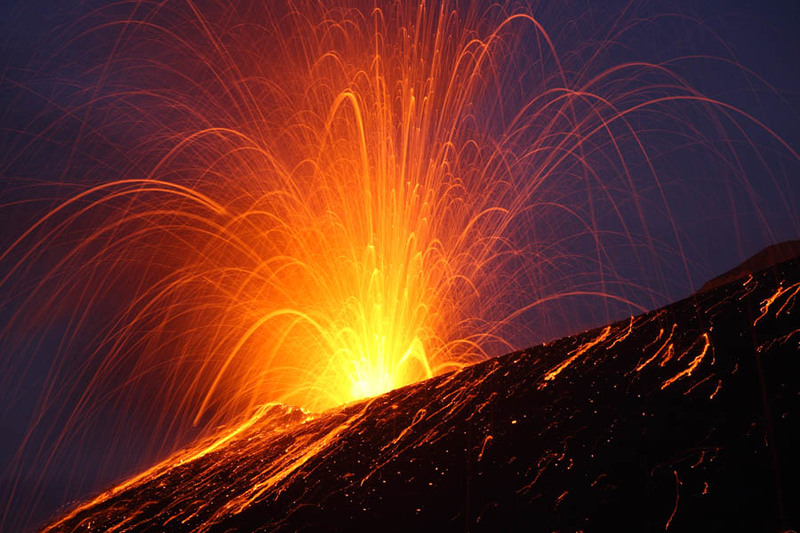 Perhaps we should just lance a volcano every once in a while. Posted in Uncategorized. Tagged Krakatoa, Volcano lancing. 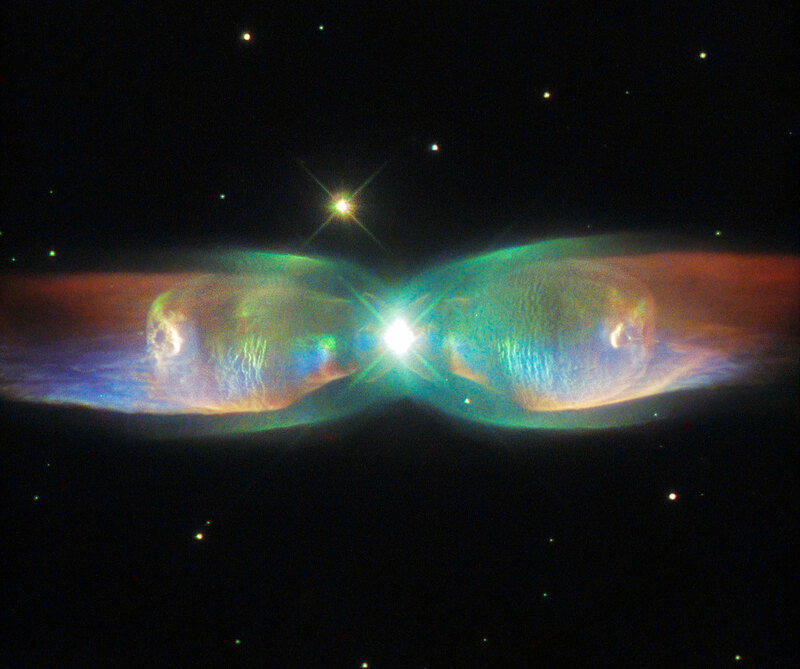 A new Hubble image of the Twin Jet Nebula. The glowing and expanding shells of gas clearly visible in this image represent the final stages of life for an old star of low to intermediate mass. The star has not only ejected its outer layers, but the exposed remnant core is now illuminating these layers – resulting in a spectacular light show like the one seen here. However, the Twin Jet Nebula is not just any planetary nebula, it is a bipolar nebula. Ordinary planetary nebulae have one star at their centre, bipolar nebulae have two, in a binary star system. Astronomers have found that the two stars in this pair each have around the same mass as the Sun, ranging from 0.6 to 1.0 solar masses for the smaller star, and from 1.0 to 1.4 solar masses for its larger companion. The larger star is approaching the end of its days and has already ejected its outer layers of gas into space, whereas its partner is further evolved, and is a small white dwarf. Posted in Uncategorized. Tagged Hubble Space Telescope, NASA, Twin Jet Nebula. Dr. James “Red” Duke was an emergency room doctor with the presence of a cowboy movie star — a self-described outlaw known far and wide. Duke passed away Tuesday at the age of 86, his family announced. 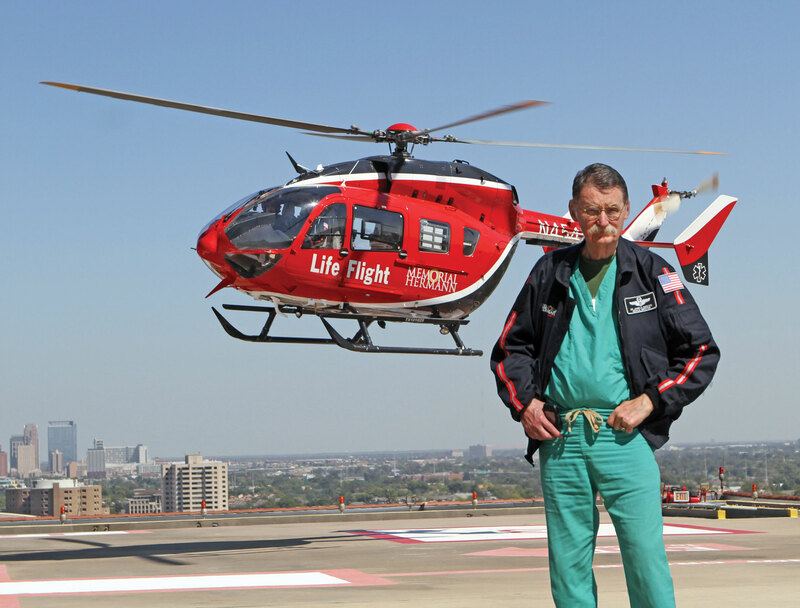 His signature accomplishment in Houston was his role in putting Life Flight helicopters into the skies — dramatically dropping the time it took to transfer traumatically injured patients to hospitals. And his reach spanned beyond Houston and Texas: People across the nation knew him best for his nationally syndicated “Dr. Red Health Reports” that aired for 15 years. Blue skies, Dr. Red Duke. Posted in Uncategorized. Tagged James "Red" Duke, Life Flight. Not much to post lately, so you are stuck with art. Posted in Art, Uncategorized. 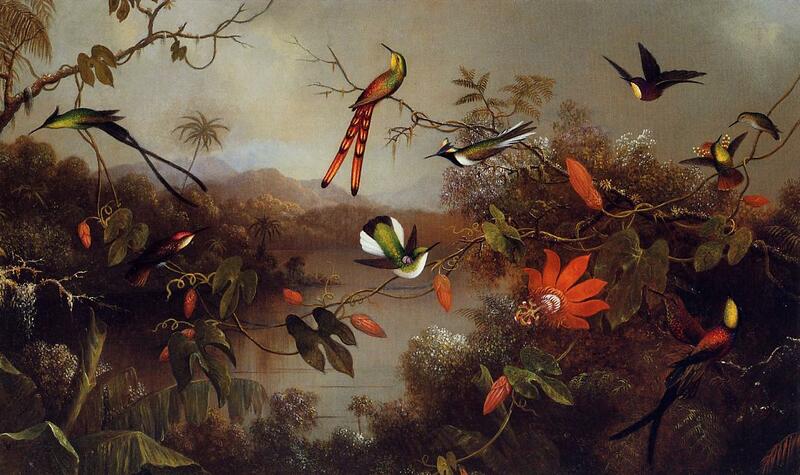 Tagged Martin Johnson Heade.